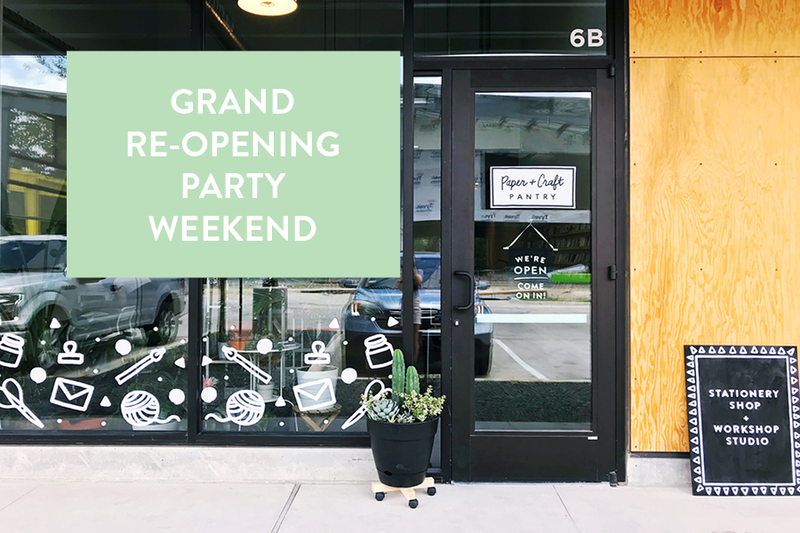 We're celebrating our move into our new store front and workshop studio with a party that will last ALL WEEKEND LONG! You'll have a chance to shop in our brand new store front and enter to win one (or all) of our amazing raffle giveaways. From greeting cards for a year, to workshops and really amazing prizes from some of our favorite small businesses - you're going to love all the goods we picked for this weekend celebration. Every guest will receive a raffle ticket when they arrive and have the chance to earn more raffle tickets with every $10 purchase in-store. *pre-tax. We're also going to be debuting a brand new paper wall installation complete with a Photo Booth!